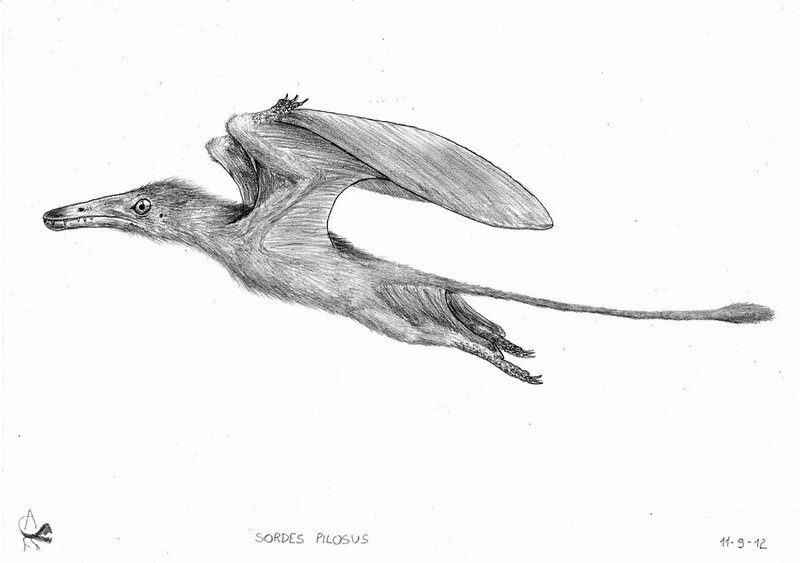 Sordes was a pterosaur which lived approximately 150 million years ago during the Late Jurassic Period. 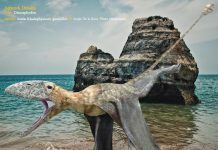 It was first discovered during the 1960s in Kazakhstan. In 1971, it was given its name by Aleksandr Grigorevich Sharov. 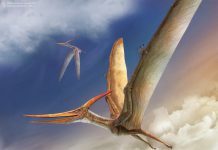 The name of this flying reptile means “devil” in Greek. While its name has somewhat of a diabolical connotation, Sordes pictures tell a different tale. That’s because this animal wasn’t “evil looking,” particularly ferocious or dangerous – all things that you would expect an animal named “devil” to be. In fact, it really just looked like an over-sized bat. 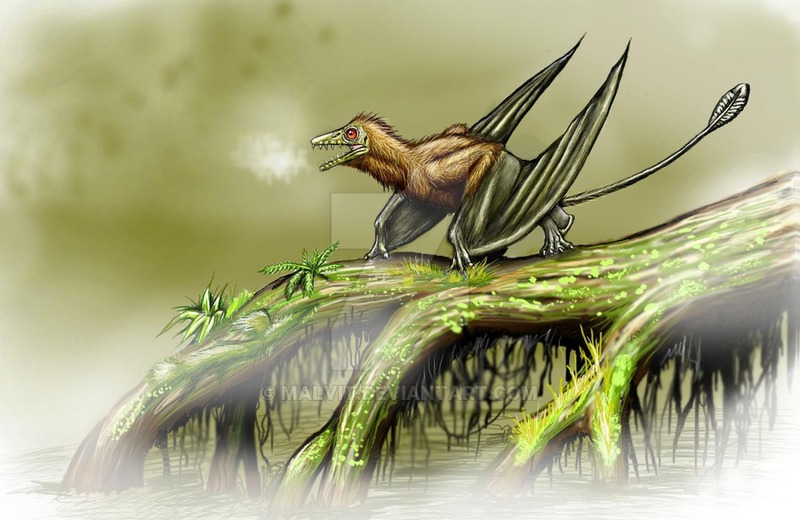 Sordes was about a foot long, had a wingspan of about 1.5 feet and weighed around a pound. Which made it about the size of a pigeon. It was also covered in a coat that was made out of fur or made out of primitive feathers which resembled hair. 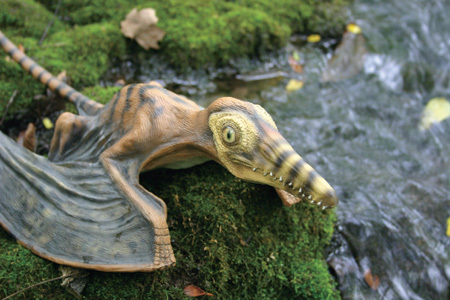 A fascinating fact about Sordes is that paleontologists think that it may have been warm-blooded. 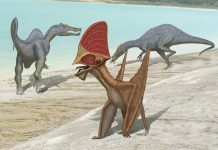 They think so because this pterosaur developed a fur coat – which it wouldn’t have needed if it wasn’t warm-blooded. 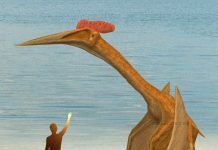 Only if it had been warm-blooded would this extra layer of mammal-like protection be needed. 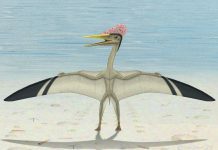 During the 1990s, it was argued that this pterosaur didn’t have hair but instead scientists were misinterpreting the fibers of this animal’s flight membranes that were impressed into the specimens. However, that was later found out to be false and it was discovered that these animals did possess a coating of hair. 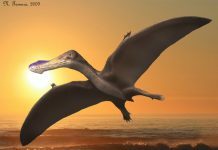 Because of its small size and because of the type of teeth it had, paleontologists believe that this animal lived off a diet of insects and maybe small amphibians – which would have been plentiful around Asia at the time.